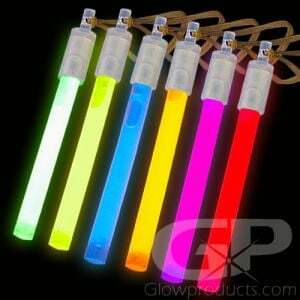 - 6 Inch Glow Sticks with 8 Hour Glow! 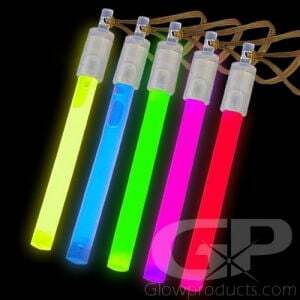 - Each Glow Stick includes a Lanyard String! - Glow Parties! Festivals! Special Events! Camping! 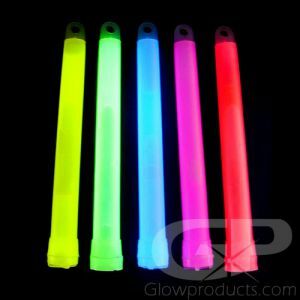 6 Inch Glow Sticks are the most popular and versatile glow sticks around! Outdoor lighting, glow stick dancing, area markers and personal safety lights are just a few ideas these glow sticks can be used for! 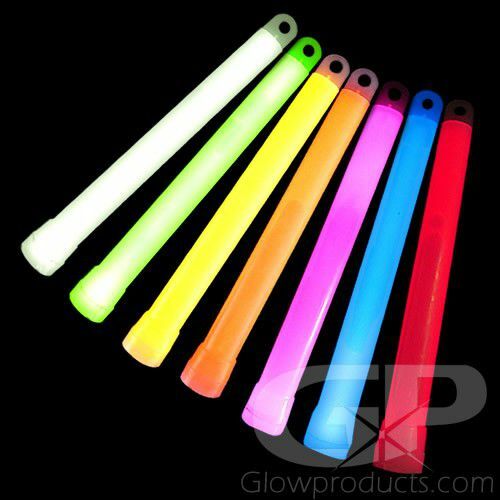 Hand out to Trick or Treaters for Halloween, use as a marker for camping to light up trails and tent pegs or simply hit the dance floor with these bright and colorful glow in the dark sticks. 6 Inch Standard Light Sticks are a non-sparking, non heat-producing, waterproof light source that will glow brightly for up to eight hours. Each Glow Stick has a loophole for attaching the lanyard string. Fun, bright and colorful, you just can't go wrong with 6" glow sticks! Instructions: Bend the 6 inch glow stick just enough to break the internal capsule. Shake to mix and start the bright glow effect! 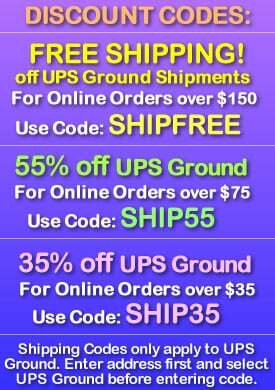 An optional lanyard necklace string is included with each 6 inch glow stick.